Maybulb • We make things for your screens. We are a team of five people working on things for screens. We are a Canadian, a Portlander, a Seattleite, a Kiwi, and a Brit creating apps, websites, and more. A simple but powerful Wolfram|Alpha menubar client for macOS. Maybulb has no affiliation with Wolfram Research or any of its subsidiaries. 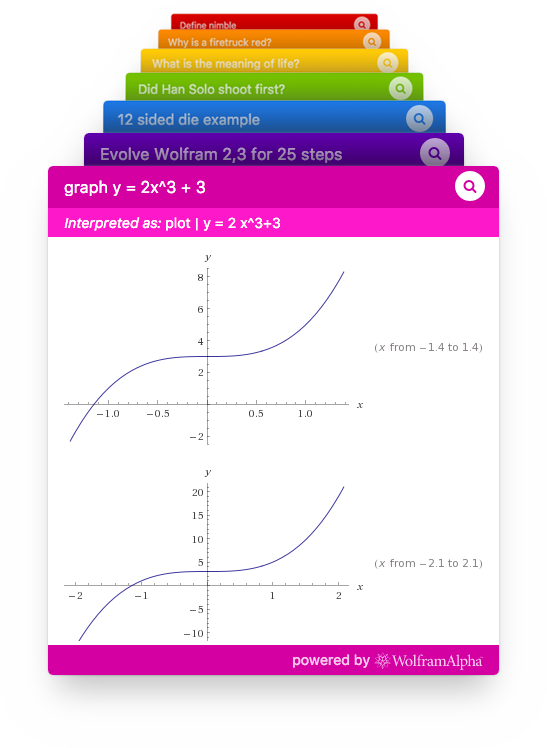 WolframAlpha, Wolfram|Alpha, and Wolfram are trademarks of Wolfram Group, LLC. Nimble is licensed under the Creative Commons Attribution-NonCommercial 4.0 International license.